 We invite you to visit Seattle Central College’s Wood Technology Center to explore our state-of-the-art facility that includes workshops, a computer lab, collaboration space, classrooms and offices. During the tour, you can watch student projects take shape, meet our dedicated instructors and discover the equipment we use. Tours also include information sessions so you can learn about our programs. Fall, Winter and Spring Quarters: Tours are offered at 12:30 p.m. on Wednesdays while school is in session. Just stop by our new facility. Summer Quarter: To make arrangements for a tour please call 206.934.5460 to make an appointment. Please note that tour appointments must be made two weeks in advance. By Appointment: For other tour times, please call 206.934.5460 to schedule an appointment. We look forward to seeing you at the Wood Technology Center!